If you did summer right, you probably don’t have many vacation days left. The most successful people take full advantage of their OOO time, after all. Either way, if a wellness-focused getaway is on your radar, there are plenty of them to choose from during the final months of 2016. Some are super active—marathon running in Cuba, skiing in Montana—while others are more contemplative, in line with the naturally slow pace of the season. (Luxury meditation getaway in India, anyone?). Whatever your speed, it’ll be impossible to not come back fortified against the impending winter blues. Check out the 11 best getaways for recharging, meditating, getting fit, or all of the above over the next few months. Prepare for some serious #fitfam bonding at this gathering led by social media workout stars Karena Dawn and Katrina Scott, which brings hundreds of #TIUTeam members from around the world together IRL. You’ll be bouncing from stand-up paddleboarding to hikes in the hills, dinners on the beach to a rosé-fueled 5K (seriously)—and, of course, the hostesses themselves will be leading morning workouts. Inside tip: The Bandier-curated gift bags alone will be totally worth the trip. If you took part in this summer’s crazy race schedule, this getaway at Kripalu Center for Yoga & Health is the perfect way to close out the season. Start prepping for next year (it’s not too early!) with workshops on goal-setting and habit development, mindful running techniques, and yoga classes geared specifically toward runners. And since the yogis running the show (Sarajean Rudman and Cara Gilman) are both avid runners themselves, you can expect some good suggestions for where to log miles on and around the property. For the fifth year running, the ladies behind super-buzzy New York City yoga studio Sky Ting are heading to Maderas Village, an equally super-buzzy jungle retreat destination in Nicaragua. The itinerary includes twice-daily yoga classes led by Kumi Sawyers and Chloe Kernaghan; optional excursions like horseback riding, sailing, and surfing; and three healthy meals a day, plus unlimited juices, smoothies, and booze (because this is vacation, duh). Not every meditation retreat is all silence and solitude. Case in point: This 25-person getaway, led by preternaturally charming Vedic meditation instructor Emily Fletcher, is super social. Guests will, of course, do plenty of meditating—morning and evening sessions, as well as a crash-course in rounding (an “industrial strength” meditation technique)—but there’s also lots of time for hanging out with your new pals, yoga classes (in a barn! ), bodywork, Ayurvedic consultations, organic meals, and a cooking workshop. (A caveat: This retreat is for those who are already trained in Vedic meditation. For beginners, Fletcher’s leading courses in Santa Fe and Cancun this fall, as well as her usual schedule in New York City and Los Angeles). What could be better than a Wanderlust yoga festival in the American wilderness? How about the same festival format, but at a drop-dead gorgeous beach resort in Australia? Not surprisingly, the Down Under installment of Wanderlust has attracted some pretty amazing teachers (Shiva Rea, Ana Forrest), and musicians (DJ Tasha Blank, Xavier Rudd). In between classes, guests are treated to pool parties, lagoon swimming, kayaking, surfing, and other aquatic pursuits. Endless summer FTW. You could go to India for the full Ayurvedic detox treatment… or head to the Berkshires for something way less extreme (read: no enemas). 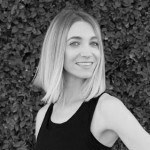 There, yoga instructor and holistic nutrition educator Claire Ragozzino will be leading a group cleanse in collaboration with Free People and Yogascapes—think endless bowls of kitchari, a daily Ayurvedic routine, dosha-balancing yoga practices, hikes, sauna sessions, and a hypnosis workshop. And since cleansing ain’t easy, you’ll be rewarded with $250 in Free People swag, which will be waiting for you upon arrival. Commercial flights to Cuba have officially resumed, so you can expect to see lots of healthy retreats popping up on the island nation over the next few months. One of the first: a group excursion to partake in the Marabana Havana Marathon, organized by Ketanga Fitness. When you’re not training with legendary Boston Marathon champion Jack Fultz or running the race itself (choose from the marathon, half-marathon, 10K, or 5K), you’ll be escorted on several cultural activities including a visit to Ernest Hemingway’s home, Finca Vigía. Perfect your skills before ski season kicks off at this women-only camp for intermediate-level skiers. While this isn’t an all-inclusive retreat—you’ll have to book your lodging separately from the clinic, and no extras are included—the six-person group lends itself to getting friendly fast. Who knows, maybe you’ll find some new members for your 2017 ski squad. Hosted by LA meditation studio The Den and spiritual advisor Chandresh Bhardwaj, this meditation retreat strikes the perfect balance between modernity and tradition. Your mornings will be spent engaging in daily meditation with Bhardwaj, dining with Himalayan monks, or experiencing the Taj Mahal and Rishikesh market (where the Beatles learned to meditate), while by night you’ll be holed up in some seriously decadent hotels, including Ananda Spa (an Oprah fave), and Oberoi Amarvilas (named one of the best retreats in the world). Trust me, you won’t have an ounce of FOMO for the New Years’ Eve celebrations back home. Not sure if a wellness retreat is really your thing? Here’s why so many women are embarking on them lately, and what one writer learned about herself from going on one. And for a bit more inspiration, check out where the celebrities go when they need to recharge.